The ex-Varyag. US Navy photo. This interview was first published at PROSPECT Blog. In August the Chinese People’s Liberation Army Navy (PLAN) begun sea trials of its first aircraft carrier, a modernized former Soviet ship termed the ex-Varyag in Western media. The launch of an aircraft carrier, a prestigious military asset essential to effective power projection, is one of the most visible aspects of China’s ambitious military modernization effort that includes the development of a fifth-generation stealth fighter aircraft and the acquisition of advanced anti-ship missiles. The Chinese military’s aggressive modernization program have been viewed with widespread apprehension in the US, with the Wall Street Journal heralding the launch of the ex-Varyag “a defining moment in its effort to become a top-tier naval power that seeks to challenge U.S. military supremacy in Asia and protect Chinese economic interests that now span the globe.” However, China’s military and Communist Party leadership is notoriously secretive, and the exact nature of China’s military modernization effort remains controversial. Hoping to explore this topic, I sat down with Dr. Tai Ming Cheung, an expert on Chinese defense issue and the author of Fortifying China: The Struggle to Build a Modern Defense Economy and China’s Entrepreneurial Army to discuss the significance of the ex-Varyag, PLA modernization efforts, and the future of China’s grand strategy. PROSPECT: China recently launched its first aircraft carrier. This event has drawn heavy attention in the United States and the Western media, with many commentators characterizing it as a watershed moment in China’s military rise. How would you describe the significance of the ex-Varyag, and do you see it as a credible symbol of Chinese military development? DR. CHEUNG:: That’s a big question, and you can look at it from a number of different perspectives. Of course, from a symbolic perspective the aircraft carrier is a very potent symbol because it is a symbol of power projection, industrial capability, and the ability to integrate and apply critical elements of military technological and industrial capability. But the problem for China, and in particular the Chinese Navy, is that it’s very much a mixed symbol. This aircraft carrier isn’t something that originated in China, but was acquired from the Ukrainians, and it was acquired quite a long time ago. It’s undergone a very difficult and long process to get to its sea trials, which began last month. So in terms of a military and technological perspective the symbolism is much less – it’s a foreign design platform the Chinese have spent a very long time trying to modify, and it’s still a question whether they have been able to successfully incorporate some of their own [technologies] needed to actually turn it into a functioning platform. We see that there are important aspects [already] there such as the ship’s power plant, its radars and some of its launch capabilities but there are still question marks about what they are, and they remain in the experimental phase. The Chinese are incorporating these technologies into the original Soviet platform, so the ship is a hybrid of the two. How much of it is actually derived from the Chinese’s own capabilities is a big question mark, and I think the answer if fairly small. As the media reports about the ship, it’s going to be a very long time before it actually is operational – from undergoing sea trials to being actually launched as an operational aircraft carrier we are talking in terms of five to 10 years. Overall it is a symbol of a capability that is still in its early stages and while regional countries may worry about the PR side of things, they don’t have to worry from an operational perspective anytime soon. But the Chinese have talked about an aircraft carrier dream for a very long time, and they have been looking at this in a serious was since the 1980s. So to get from where they were to where they are now is a significant step, but we shouldn’t over analyze and over exaggerate what it means from an operational perspective. 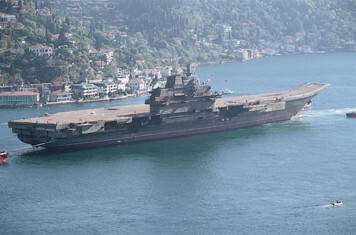 PROSPECT: Reportedly the PLAN is in the process of constructing two new carriers of a completely indigenous design. In your opinion, what can we expect to see in these designs? How do you expect them to compare to the Admiral Kuznetsov-class the ex-Vayag is based on? DR. CHEUNG:: Right now there is a lot of speculation, but there is no hard concrete evidence that the Chinese have embarked on their own indigenous carrier program. There are reports, especially from the Japanese media, that Chinese shipyards in Shanghai have been recruiting large numbers of workers. There’s a lot of gossip and circumstantial evidence, but there is no firm proof that the Chinese are building their own carriers. The Chinese government and official news sources have not made any references to this, so it’s entirely speculation and reporting from secondhand sources. We have to be very careful about where the evidence is, but from this speculation the Chinese appear to be embarking on building large size aircraft carriers. When you look at carriers, they come in several different sizes: most countries when they begin to build carriers they tend to make them smaller – less than 10,000 tons – and to focus on helicopter carriers to learn the ropes. Once they do that they move on to what we call medium sized aircraft carriers, [which are] what most countries have now. The Indians, the Brazilians, the Spanish, the Italians, and even the British tend to go for medium sized carries in the 20,000 to 30,000 ton range. Only the US now builds 100,000 ton big carriers. So for the Chinese to be able to focus on this upper range is an extremely ambitious feat, and it not entirely clear if they can actually do that. You would expect them to follow this sequential evolution, learning to walk before you run. The Chinese are running now. But building a carrier of a very large size requires massive industrial capabilities, and large systems integration capabilities. It’s an ambitious naval and grand strategy to try to match all of that. The Chinese are looking to build large carriers, but I think it would really stretch their technological, industrial and military capabilities to do so, and I’m not quite sure they can actually pull that off. If you look now the largest Chinese naval vessels are 10,000 ton destroyers, and to move that up is a big leap. PROSPECT: Building off this, the US Office of the Secretary of Defense recently released their annual report on the state of the Chinese military, which sees these two indigenous carriers potentially entering service as early as 2015. Do you see this as in any way credible? DR. CHEUNG:: I see that as very unlikely. In 2011 they have only begun the sea trials of the carrier, and then only for a few days. They didn’t launch any aircraft, and the Chinese don’t actually have any carrier aircraft – they’re still in development. To be able to [operationally use] the carrier platform – to be able to sail extended distances – that’s something the Chinese still have a ways to do. To begin to operate at a sustained level we don’t see any evidence of that. Then, to build a carrier battle group and all the elements that go into that is another challenge, and we don’t see the organizational structures in place for that. There are a lot of components that need to come together. If we look at other countries like the Americans and the British in their formative eras of carrier development this would take decades. For the Chinese to bring all of these elements together will take many years, and to have an aircraft carrier that is able to operate in a warfighting sense is not going to happen for another decade. They may have a carrier that can fly helicopters and is capable of less significant military activities like humanitarian operations in a shorter period of time, but to be able to have an aircraft carrier that can be deployed and fight in a theater of operations like Taiwan is very questionable. Of course it’s in the US military’s interest to hype up the danger of this carrier, because the US defense budget is under stress and as lots of debates about whether the US needs as sizable aircraft carrier capability as it currently involve questions about the Chinese carrier capability. PROSPECT: What is actually interesting about the Chinese indigenous carrier program is that it is actually secret, unlike other notable Chinese acquisition programs like the J-20, the J-15, or the ex-Varyag which are nominally secret but are very much marketed for consumption in the West. Do you read anything in this contrast? DR. CHEUNG:: I think that this is a fairly typical Chinese approach. When they build new programs – assuming these programs are in existence – especially in the early years they really don’t make much announcement. We’ve seen this in their submarine and other naval aviation programs and other aviation programs like the J-10. In their formative periods they really don’t provide much information if any, and it’s only when they come closer to final development and production do they signal and provide more information about these programs. I think that this has a lot to do with the secretive nature of the Chinese system, but it’s also because with these new generation producers there’s often a high risk of failure, as well as a lot of bureaucratic infighting, so they don’t want to release more information until they are confident how good these products are. 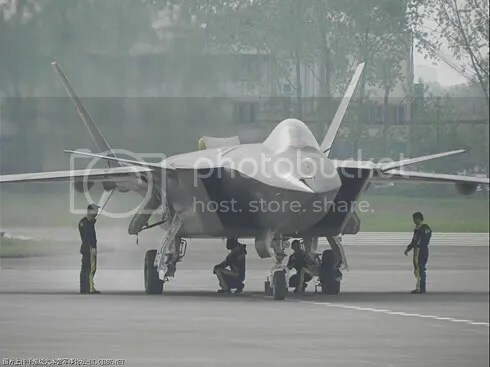 For example, the J-20 or the ex-Varyag were quite secret in the early stages and leaks emerged only when the Chinese leaders became confident enough to use them as signals to the outside world. I wouldn’t read too much into how secret these carrier projects are, because it is going to be years before they even see the light of day in terms of production. PROSPECT: To Western observers watching the growth of the Chinese Navy, the natural comparison is the Soviet Navy during the Cold War. The Soviet Navy was notable for predominantly practicing a sea denial strategy with their focus on attack submarines and anti-ship cruise missiles. Do you see the formation of the Chinese blue water navy in the next decade as focused on an asymmetrical area denial strategy in the western Pacific, or do you see them aiming for a more conventional power projection capability? DR. CHEUNG:: If you look in terms of what the core missions and the importance of maritime power is for China itself, then you can begin to sketch out what the Chinese Navy will look like over the long term. Of key importance is to be able to gain control and to deny threats close to its shores and to gain control exclusive economic zones and project power within what they call their first island chain a couple hundred miles offshore. They need to have both sea control capabilities, especially when dealing with smaller powers like Taiwan, Japan, and other neighboring countries, but they also need to have sea denial capabilities when dealing with their principal concern — the US Navy — which has a very dominant maritime presence in the Asia Pacific region. While that is just one key goal, it’s where the Chinese have put a lot of focus, especially given the Chinese Navy’s main concerns in the 1990s and the 2000s deal with the issue of Taiwan and preventing Taiwan from gaining independence and the military contingencies surrounding that they are very much focused on a sea denial capability because they are very much focused on a US or allied intervention in that scenario. But more broadly, and looking in terms of the next 10 20 and 30 years China is increasingly dependent on trade and its resources from the rests of the world. If you look at where its trade comes from more than 90 percent is seaborn trade, so sea lanes and communications are critical to China’s national and economic health itself. So, sea denial around its shores is one important component, but even more important is the ability to protect these critical sea lanes of communications and the ability to deal with potential blockades in these areas where you can seize choke points in the seas of Malacca and elsewhere is South Asia. So the [goal of] the Chinese Navy, especially with aircraft carriers, is the ability to project power, to defend these sea lanes of communication and its large maritime global interest. The Chinese have been free riding on the US, but as China’s place in the world and its military power grow it doesn’t want to be dependent on the US. I think you will very much see that the Chinese approach will be different from what it was. Their initial motto may have in terms of the first decade of building maritime power may have been similar to what the Soviets were originally, but you have to remember that the Soviets were not a maritime power, they were a continental power. China is fundamentally different in that way, because China is a critical player within the global trading system. In that way it is both a maritime and continental power. So the role sea power is very different. The Chinese are doing this very much as an incremental approach: first securing and protecting out to their first island chain, and then to the second island chain, and then beginning to project power over a much further distances for economic and trading interests but not having the capabilities to rival the US and other powers beyond China until the medium to longer term. PROSPECT: What does it mean for other nations in the region, notably countries like Vietnam and Japan whose long-term strategic goals seems to conflict China’s? DR. CHEUNG: First of all, you do see that there is a naval arms race that is taking place. You see it in acquisitions of submarines, acquisitions of arms with offensive capabilities. The Vietnamese are buying Russian submarines, and are trying to expand their naval air capabilities, and the Japanese with their new mid-term defense programs are moving in that direction [as well], placing more emphasis on their maritime and naval capabilities. We also see this in other Southeast Asian countries like the Koreans and Taiwanese. You are seeing this greater concern. But the problem with these countries is by themselves they are never going to be able to compete against the Chinese. So what else are they going to do? You see the Japanese moving much closer to the Americans, as are the Vietnamese and some of the other southeast Asians. But that doesn’t really help you over the longer term, because what you get is you spiral into these security dilemmas as the other country builds up and you have an action/reaction sequence. So what you really need to focus upon is you need to work out multilateral areas of discussion and cooperation and to try to find confidence-building measures. We don’t see that yet. There is no trust. And if we don’t begin to see these dynamics of focusing upon building trust mechanisms and defining regional norms of behavior etc. then you are going to get greater spirals, and greater concerns about arms races and and mistrust. That then deepens the potential for confrontation, misunderstandings, and conflict. We are, I think, in for a growing period of tensions, especially in the maritime region, in East and Southeast Asia. PROSPECT:It has been suggested that over the past decade the PLA has pursued a more nationalistic, confrontational strategy than the rest of China’s civilian government. Do you find this theory credible, and how would you characterize the state of civil-military relations in China today? DR. CHEUNG: I don’t think that the PLA is a rouge actor in itself. If you look at the PLA today it has increasingly become more professional, and it sees its key role as the guardian of Chinese sovereignty and national prestige. There have been elements within the PLA, some very vocal strategists, who are more vocal in the media expressing what they say are the Chinese military’s views. However, if you look at how Chinese military leaders have expressed themselves and at the deployment of Chinese military power in and around the region and Chinese military power as a component of overall Chinese grand strategy, they’ve taken a fairly modest and balanced approach to pushing for Chinese interests and to showcase Chinese military power. Of course we’ve seen that they can be aggressive in areas that they deem to be in their core interest, such as dealing with Taiwan and increasingly pushing against interference with Chinese sovereignty, like intrusions by US espionage or surveillance and reconnaissance activity around the perimeter of Chinese territory. But you also see that the Chinese military has been fairly cooperative in a number of international fora — in anti-piracy efforts, supplying the UN with peacekeeping troops, and trying to mediate tensions in various areas and also developing multilateral military cooperation organizations such as the Shanghai Cooperation Organization with Russia and other Asian states, etc. — so you’ve seen that there’s this parallel approach but there’s also assertiveness and an effort to be seen as a cooperative stakeholder in the global military order. Of course within the overall state of civil military relations the Chinese military have become increasingly seeking to push its interests and it’s not as subservient as it used to be, especially because it wants to have more resources, meaning its defense budgets, to allow it to support this fairly aggressive military modernization. But overall though, especially within the nature of the party army system within China, the military remains very much subservient to the rule of the Communist Party and you don’t see it becoming an independent actor trying to push for its own interests outside of the interests of the Communist Party.